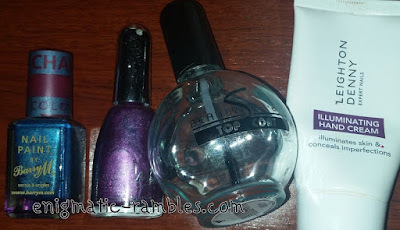 This past month I have only used up two nail polishes, am gifting another one and finished a giant top coat. Not as many as usual but still glad to have finished that giant top coat! ELF - Innocent - While I liked the colour I won't be repurchasing [swatch]. Barry M - Blue Chameleon - I have a back up of this, it works well for stamping [swatch]. La Femme - I wasn't a fan of the pearlescent finish on this one. Beauty Secrets - Top Coat - Really didn't like this, smudged nail art and didn't dry all that fast. Leighton Denny - Illuminating Hand Cream - This was tinted, too dark for my skin tone so it looked odd. It did moisturise though and absorbed quite quickly. Nivea - Cleansing Cream Wash - Not sure what it was about this but it broke me out after only one use. Beautiology - Milk Chocolate Shower Gel - Scented very much like synthetic chocolate. Not something I would buy again. Beautiology - Gingerbread Shower Gel - This on the other hand was scented very much of ginger and was a seasonal favourite. TRESemmé Silky Smooth Conditioner - I enjoyed this it leaves my hair soft and smooth which is what I look for from a conditioner. It didn't weigh my hair down or make it greasy quickly. 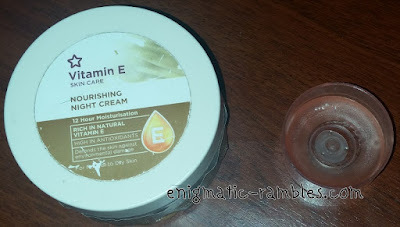 Superdrug Vitamin E Night Cream - This was my go to day moisturiser of choice for a long while. 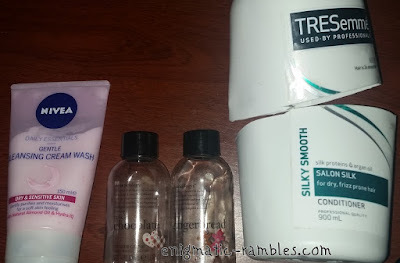 It isn't as hydrating as I need it to be though as my skin is ageing [review]. Yankee Candle Summer Peach - Tea Light - Fresh scented, burn time was long considering it is a tea light. Soap and Glory - Thick and Fast Mascara - The brush on this mascara is massive, it does however give thick lashes. I found the formula was more on the dry side which does mean you can build up volume. Tango Cherry Lip Balm - This is tinted so does give your lips some colour, not something you can apply without a mirror. Also it was a strange gritty texture which did transfer on to the lips. Lip Smacker Coca Cola Lip Balm - A nice lip balm, does its job and is scented of cola. 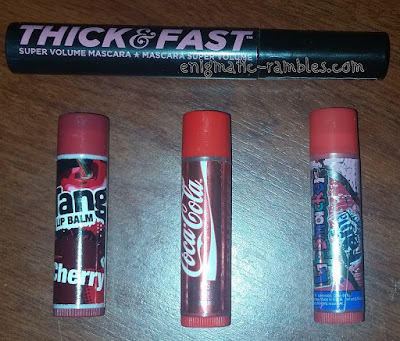 Lip Smacker Fanta Strawberry - Again a nice formula, this was artificial strawberry scented but I haven't tried strawberry Fanta so can't say if the scent is similar.